Thank you so much to everyone who took part in and supported this year’s British Flowers Week! 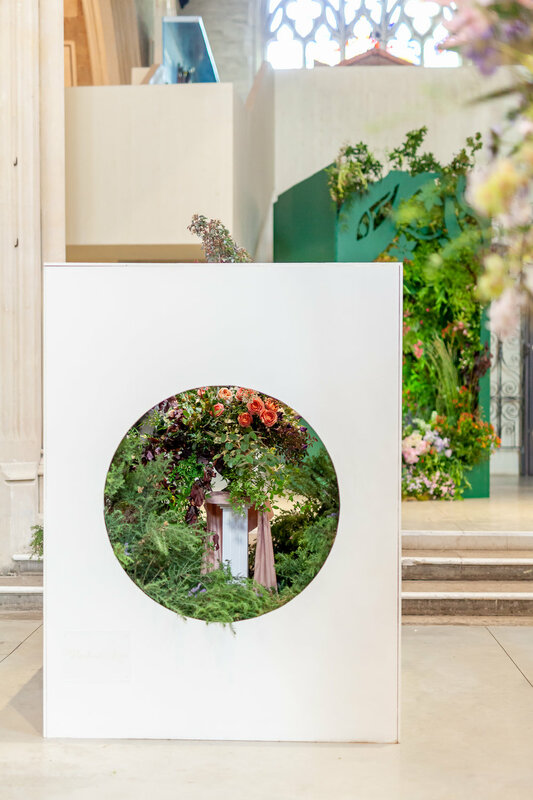 A huge thanks to our six florists who created installations at the Garden Museum: Evolve Flowers, Festoon, Floribunda Rose, Harry’s Flowers, Veevers Carter and Wolves Lane Flower Company. Thank you also to the judging panel of Shane Connolly, Rebecca Louise Law, Philip Treacy and Laura Cavendish, and to all of you who embraced this annual celebration of home-grown blooms. Detail from Veevers Carter's installation at the Garden Museum. Yet again, the hashtag #BritishFlowersWeek was seen by millions of people on social media, reaching 12.7 million people on Twitter and 2.4 million on Instagram. There were around 6,500 posts from 3,500 different people using the hashtag. That's a whole lot of British flower fans. The press got behind British Flowers Week with coverage in regional, trade and national media, including this article in The Daily Telegraph, this picture story on the BBC website and mentions on Farming Today. On Tuesday morning, around 1.5 million people watched Carol Kirkwood and the BBC Breakfast weather team join us at the Garden Museum for live broadcasts throughout the morning and interviews with our florists and judge Shane Connolly. And British Flowers Week was back on BBC Breakfast again on Sunday, with Tessa Bunney discussing her photography exhibition following British flower growers to another audience of around 1.5 million. 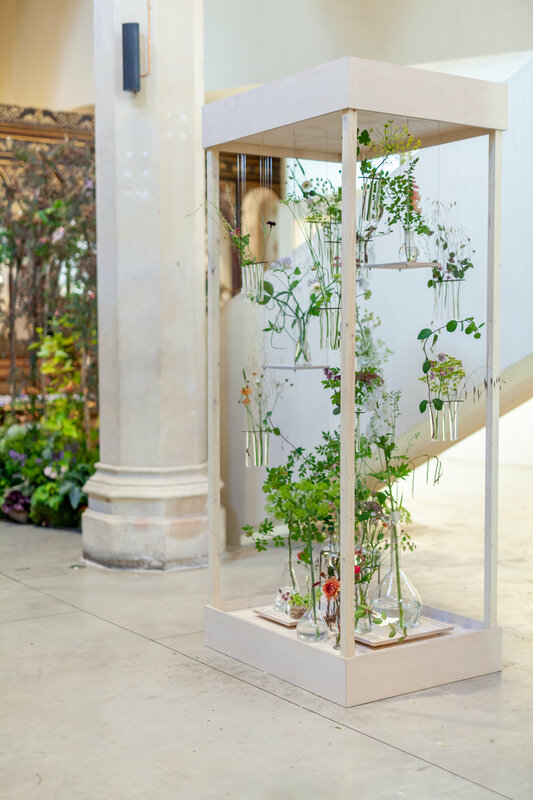 For British Flowers Week, New Covent Garden Market brought you six specially commissioned floral designs from some of the country's most exciting florists at the Garden Museum. They were created by Evolve Flowers, Festoon, Floribunda Rose, Harry’s Flowers, Veevers Carter and Wolves Lane Flower Company. Check them out below. The innovative installations were open to visitors for the whole week at the beautiful, newly restored Garden Museum. And in case you missed it, you can see more photos of them on our blog here. Our judges – Shane Connolly, Rebecca Louise Law, Philip Treacy and Laura Cavendish – had an incredibly tough time choosing a winner. So tough that there were two: Wolves Lane Flower Company and Festoon. A huge well done to all the florists involved, and thank you so much for all your hard work in making the week such a success. Joint winners Camila Klich and Marianne Mogendorff of Wolves Lane Flower Company and Charlotte Smithson of Festoon, with Garden Museum trustee Alan Titchmarsh. Photo: Garden Museum/Graham Lacdao. On Thursday we welcomed HRH The Duchess of Cornwall to the Garden Museum. 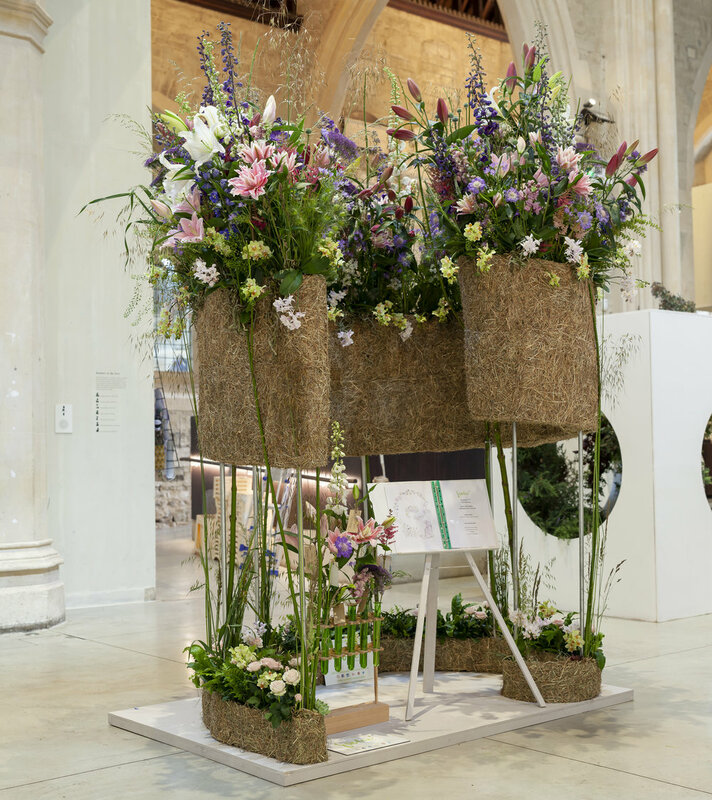 Her Royal Highness crowned the joint winners of the 2018 British Flowers Week competition, held at the Museum for the first time. The Duchess also met a group of volunteers from Floral Angels, a charity which recycles the flowers leftover from events and restyles them for those in need. During her visit Her Royal Highness also met a group from Archbishop Sumner Primary School, who were making fruit salads in the Garden Museum's new Learning Studio kitchen. 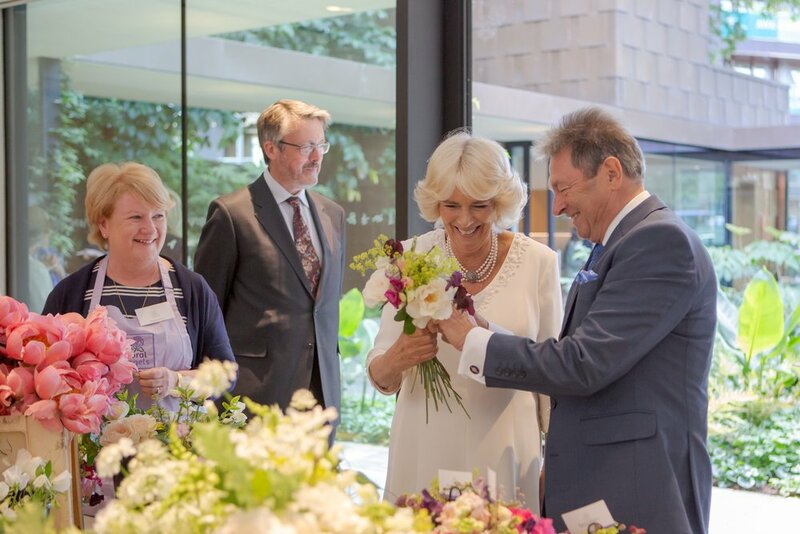 We are very grateful to The Duchess for helping us celebrate British Flowers Week. Lord Gardiner with Mick Waite at Pratley Flowers and Plants. Number 10 Downing Street also endorsed the campaign as they welcomed a stunning display of British flowers and foliage into the entrance hall of the Prime Minister’s residence. Organised by the BFA, students from Berkshire College created the display and were then lucky enough to be given a tour. Students from Berkshire College deliver their arrangement to Number 10. The NFU launched their new Plants and Flowers Pledge, challenging retailers to back British plants and flowers growers by committing to delivering fairness in the supply chain. And the Co-Op were also celebrating the week, labelling bouquets with the British Flowers Week flag, and visiting growers in Spalding they have long-term partnerships with such as Naylor Flowers, JZ Flowers and Multiflora. There were over 35 events happening up and down the country with flower farmers flinging open their gates, florists imparting their skills in workshops and British flowers popping up everywhere. Many florists created beautiful bouquets especially for British Flowers Week to sell or give away to customers in competitions. Some even left lonely bouquets around the UK to spread some joy. Our flower wall is go! Come and get your flower photo taken at Grassmarket Edinburgh this afternoon to celebrate #britishflowersweek with @flowersfromthefarm Scottish flowers all the way. Thank you so much to everyone involved. We hope you enjoyed this year’s British Flowers Week! But don’t forget British flowers are available all year round. They’re available from several traders at the Flower Market at New Covent Garden Market including Pratley, Zest Flowers and DG Wholesale Flowers. And British foliage can be found at GB Foliage and Porters Foliage. And to help you know what’s in season when, you can download a British flowers seasonal calendar for free over on the New Covent Garden Market website.